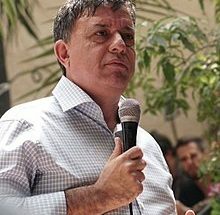 The Israeli Labor Party and Its Palestinian "Partner"
EXECUTIVE SUMMARY: The low standings of the Zionist Camp list in public opinion polls floated a new demand for change at the top. As a result, the Labor party, the Zionist Camp’s senior partner, is again challenging its newly elected chairman, Avi Gabai. Despite replacing its leaders with each election campaign, Labor has never made a comeback to govern Israel. Because it is identified with Ramallah’s demands in any future settlement, Labor has suffered electoral punishment. An analysis of Labor’s performance over the past two decades reveals that its leadership has not yet internalized that instead of replacing its frontrunner, it should replace its alleged partner for a durable peace in the Arab-Israeli conflict. The low standings of the Zionist Camp list, formed before the last elections in 2014 by Labor, headed by Yitzhak Herzog, and the Movement party, headed by former foreign minister Tzipi Livni, floated a new demand for change at the top. The Labor party is thus once again challenging its newly elected chairman, Avi Gabai. But if Labor leaders want their party to become a real contender for the office of Prime Minister and an alternative to Likud rule, they should replace their partner for a durable solution to the Arab-Israeli conflict rather than replace their own leaders. What made the situation more acute was the election of Herzog, the former leader of Labor, as Chairman of the Jewish Agency. His decision to run for that position reflected his realization that the chances of his party winning the next elections are very slim. His victory means he has to leave the Knesset, where he served as head of the opposition. Gabai cannot serve in that position as he is not a Member of the Knesset. He is thus forced to select a new MK to serve as head of the opposition. The two contenders are Livni and Shelly Yechimovich, who supported Gabai during the last Labor primaries. Whomever Gabai chooses, the real issue in Labor politics is the threat to his leadership at the forthcoming elections. Labor has replaced eight chairpersons in the past twenty years. What the leadership of Labor refuses to recognize is that its main problem is not who leads the party but its identification with the failed Oslo process, which installed the PLO leadership in Ramallah and Gaza (before its loss to Hamas in 2007). A short analysis of the 40 years since Labor’s defeat in 1977 after having ruled Israel since its inception – a turning point in in Israel’s political history – shows that the problem is not one of leadership but of political identity. 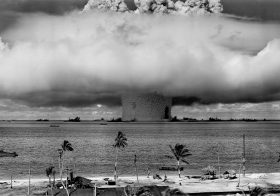 The period between 1977 and the current era should be divided into two. In 1977-96, Labor was headed by two leaders: Shimon Peres and Yitzhak Rabin. Labor won two elections during that period: in 1984 and in 1992. In the 1981 polls, the gap between Likud leader Menahem Begin and Peres was only 10,000 votes. Indeed, the gap between Labor and Likud was a single MK (48 MKs to Likud and 47 to Labor). In none of the elections from 1977 through 1992 did Labor accept the PLO leadership as a partner in a peace process between the Jewish state and the Arab states. 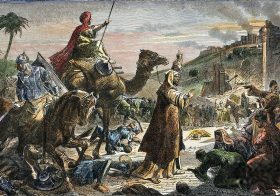 The perceived partner, as far as Labor was concerned, was the Hashemite Kingdom of Jordan. Future borders between Israel and its eastern partner were drawn according to the Allon Plan, which envisioned Israeli control over the Jordan Valley and strategic territories scarcely inhabited by Palestinians. As a matter of fact, the division of the West Bank into regions A, B, and C in the Oslo accords was drawn up according to the Allon Plan. Region C, which is totally controlled by Israel, represents Israel’s security needs in any future settlement and is very much consistent with the Allon Plan. 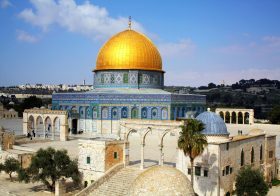 Up to Oslo, the concept of a Palestinian state was not formally accepted by Labor. 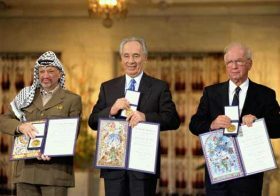 Oslo marked a conversion in negotiations over the future of the West Bank (referred to by Likud by its historical name, Judea and Samaria). The concession of Jericho to the PLO in Oslo’s first stage indicated that the linkage between the West Bank and Amman was gone and the future partition between Israel and an Arab entity would be with the Palestinians. The future partner would not be in Amman but in Ramallah, where the Palestinian Authority resides. 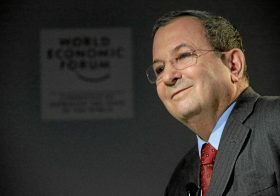 The political impact of Oslo was clearly revealed in the rise and fall of Prime Minister Ehud Barak in 1999-2001. Having defeated Netanyahu by 12%, a landslide victory, he was forced to enter new elections very soon after the collapse of the Camp David negotiations with Arafat and the subsequent outbreak of the 2000 “al-Aqsa Intifada.” He was defeated by Ariel Sharon, who had been scorned as a leader since his forced resignation as Minister of Defense in 1983 following the events at Sabra and Shatila. Ever since then, despite replacing its leaders with every election campaign, Labor has never made a comeback. Because it is identified with Ramallah’s behavior and demands in any future settlement, Labor has suffered repeated electoral punishment. 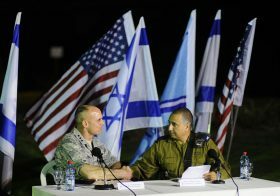 To be sure, the two-state framework has long been the preferred international solution to the Palestinian-Israeli conflict. Domestically, however, other parties identified as opting for that solution have been punished at the polls. Thus, the Kadima party, following the rejection by Palestinian Authority President Chairman Mahmoud Abbas of Prime Minister Ehud Olmert’s far-reaching offer, lost power in 2009 to a coalition of right-wing parties headed by Netanyahu. In 2013, Kadima, headed by former Chief of Staff Shaul Mofaz, scored two MKs. The Movement, headed by Livni, gathered up the remnants of Kadima and received six. Livni and Labor, the two parties most closely identified with the two-state solution, joined together during the 2015 campaign and formed the Zionist Camp. Though the amalgamation increased the power of the Zionist Camp to 24 MKs, it was not enough to challenge the right-wing coalition led by Netanyahu. If we add the five Meretz MKs to the Zionist Camp’s 24, all of whom are identified with a Palestinian state, we reach 29 MKs – a far cry from the 56 MKs Labor and Meretz received in the 1992 polls, which were the last elections before Oslo. Some Knesset members of the Labor party, like Eitan Kabel and Nachman Shai, have recently tried to back away from the Oslo label. Gabai, the current leader of Labor, has tried to mitigate Labor’s identification with Oslo by suggesting that any settlement with the Palestinian Authority would not imply the evacuation of settlements located in a future Palestinian state. The backlash they received from their party leaves no doubt: most of the Labor party’s leadership has not internalized the impact this association has had on the party’s electoral success. Instead of changing partners, they prefer to change leaders. Prof. Shmuel Sandler (emeritus) is a senior researcher at the BESA Center for Strategic Studies at Bar-Ilan University and the President of Emuna Ephrata College in Jerusalem.